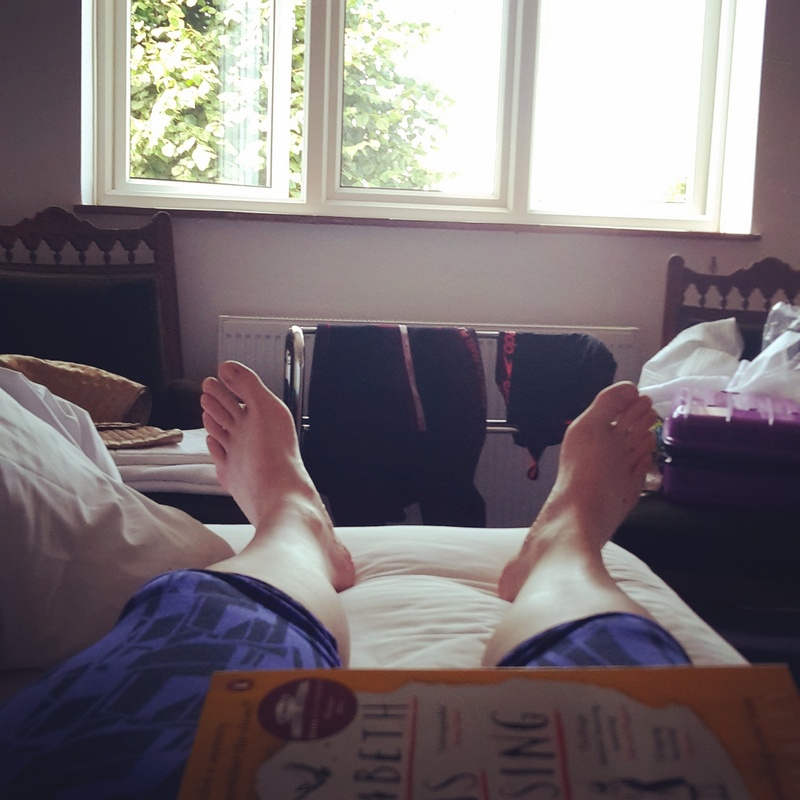 Over the past few months I’ve had to face reality when it comes to my running – I am lucky if I can manage a 5k before my knee buckles, so with a heavy heart I have finally given up on the dream of running this year’s Berlin marathon. It will be the last running event I’ll miss, as I sensibly stopped signing up for any more when, a few months in, this injury showed no signs of miraculously disappearing. Perhaps less sensibly, I continued signing up for events. If I can run a marathon, why not swim one? 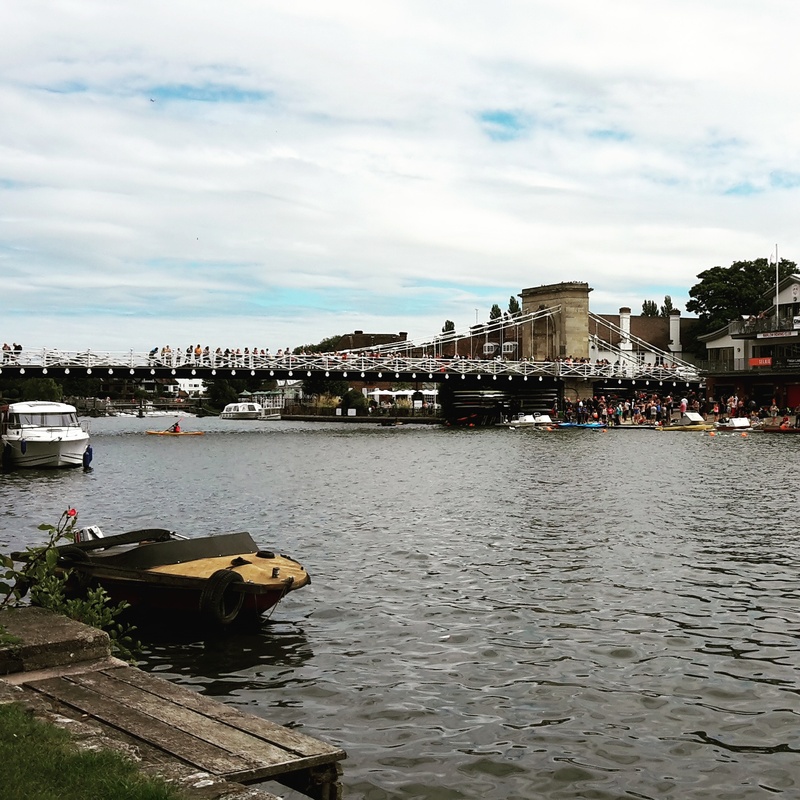 I stumbled upon the Henley Bridge to Bridge swim several months ago, when the distance in time between myself and the event was substantial enough to not worry about the fact that a 14k swim is considered to be equivalent to an ultra in running. Or that I had never done any open water swimming. I had FOREVER to train for it. It would all be fine. I signed up, and promptly forgot about it. 2015 started with a 6k swim on January 1st. I was going to dominate this event! In April, I threw out my back, and swimming was agony. I rested, and then rested some more. 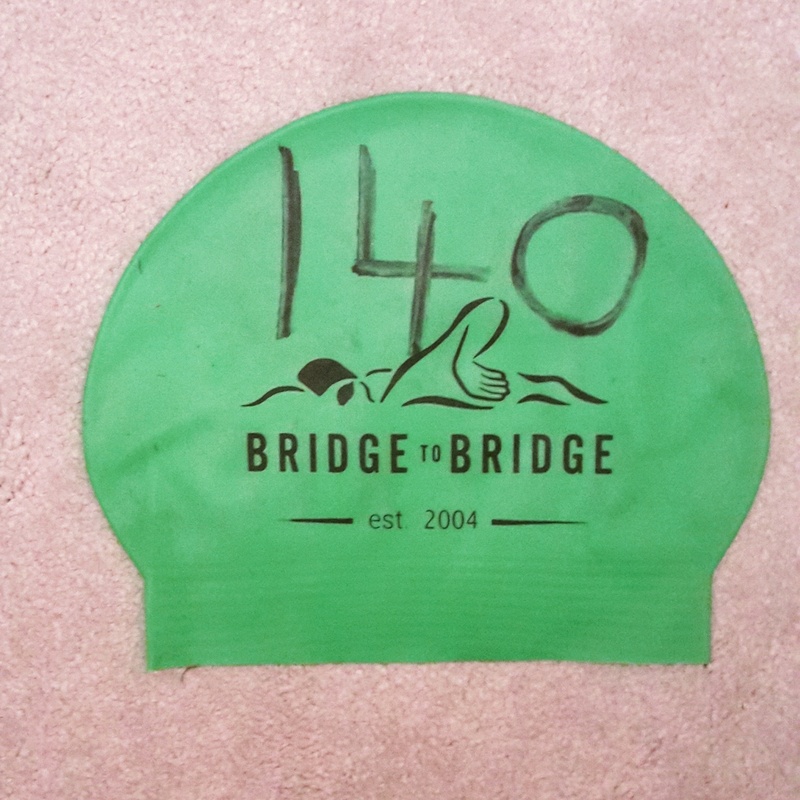 In July, I realized I had logged basically no swim training worth mentioning for several months, and the Bridge to Bridge was a matter of weeks away. I got back into the pool, and managed my quickest pool 5k to date: 1:34:43. My goal when I first re-took up swimming last October was to clock a sub 1:40:00 5k, so I was pretty happy with that! By the time I was packing for my flight to London, I had tried on my wetsuit once. In my living room. In February. I was prepared. 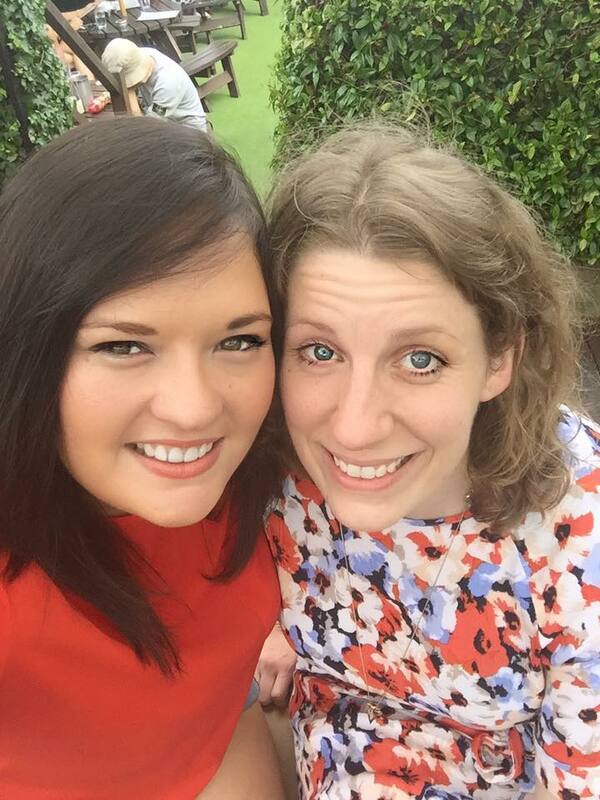 I flew to London on Saturday morning, and met an old school friend, Lisa, for what turned into a bit of a boozy lunch. I had on open single ticket to Henley, and we kept deciding I would take ‘the next train’. I had enough to drink that Lisa said she recognized my ‘drunk smile’. It was glorious, and I basically need to go back so we can go clubbing at an 80’s club and endure old person hangovers. With a cloudy mind and a full belly, I boarded the train to Henley, and arrived before 6 to check into my B&B. Once I had made sure I had left nothing important behind, I wandered back into the centre of Henley for a filling Italian meal to soak up the beer and give me energy for the following morning. I struggled to finish it, and then waddled back to my B&B, falling asleep pretty quickly. 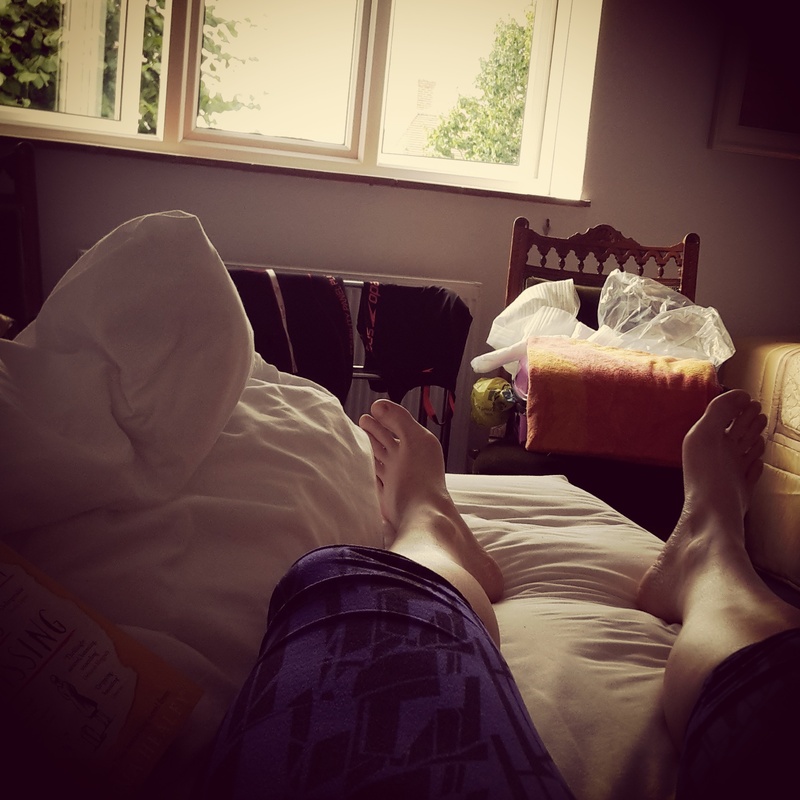 I woke up at 5:45 on Sunday morning and had a banana, some lucozade, and a sandwich made by my lovely B&B landlady. At 6:15 I headed on foot to the Leander Club, and arrived with plenty of time to register, collecting my swim cap and timing chip, and buying one of the event hoodies (even though I didn’t want to jynx my chances by buying one before completing the event, I was afraid they would run out of stock – which they did). 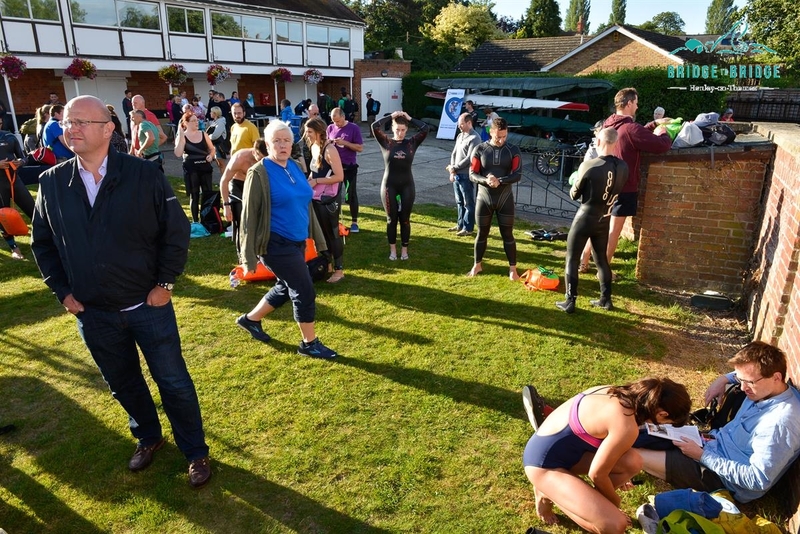 I chatted to a few of the other swimmers on the grass and enjoyed the morning sunshine for a while before heading to the female changing tent to put my wetsuit on. At about 7:45, the green wave (the slowest wave) had their safety briefing. We split into 3 pods depending on the average speed you planned to maintain. I joined the quickest of the slow wave, figuring I could always drop down to the slower pod at the 4k stop if I was pushing too hard. We were told the water temperature was 18.1 degrees Celcius, and that the water quality was the best they had ever recorded. After the introduction to our pod leaders, we were instructed to get into the water. Despite the water temperature being relatively high, it was still cold enough to take my breath away for a couple of minutes as I adjusted. I put on my goggles and awkwardly flapped towards our pod’s starting point. After a quick good luck, arms started windmilling, and we were off! At 4k our pod reached Hambledon Lock. Our target pace should have seen us reach this point at 1:20, but as I was taking in some banana and water from the feed station one of the guys wearing a watch let me know only 1:08 had passed since the start. No wonder I was feeling like I was working! I decided to stick with the same pod for the next section though, as it was only 3k, and after a few minutes rest we were being ushered back into the Thames. The second leg seemed just as quick as the first, and I tried drafting off people’s feet, using the bubbles as a guide, but kept swimming off in the wrong direction, so went back to swimming at someone’s hip, keeping them in sight. With very little to see apart from my arms and occasionally bits of leaves/plant life floating by, you were pretty much stuck with your own thoughts. You didn’t even have the benefit of chatting/music like you do in running, just the muffled splash of your own limbs crashing through the water, and occasionally the hiss of a boat engine in the distance. I sang a few songs in my head, and figured I should aim to sing 10 songs, all the way through, and I’d be at the halfway point. I ended up with “Saturday Night” by Whigfield on a loop. For half an hour. It wasn’t great. Finally, the giant orange buoy signaling the swimmers’ exit at Medmenham appeared in view, and I was glad for the rest and the clean water. By this point I’d managed to take in a few mouthfuls of the Thames, to my dismay. The rest was short-lived, however, as we were soon back in the water for the next 3k stretch. After a few minutes I started to notice fatigue in my shoulders, and had a minor panic that I was only halfway and struggling. I swam alongside one of my pod members, however my tactic of using them as a guide failed spectacularly when I failed to notice them come to an abrupt halt, and also failed to hear them shout out a warning as I continued on, straight into a tree. In fairness, it was more of a stump with branches growing out of it, but it was definitely out of place in the middle of a river. I’d managed to whack my right hip bone quick forcefully off a protruding branch, and the pain of that helped to distract me from the pain in my shoulders for the next ten minutes. Just when I was really starting to struggle, I saw the orange buoy ahead (I’d started doing a bit more of my own sighting by this point!) and rejoiced. The current must have picked up a bit in this section, because we had made it to Hurley Lock in very good time. Thankfully the final two section are only about 2k each, so by this point we felt like we were on the home stretch. 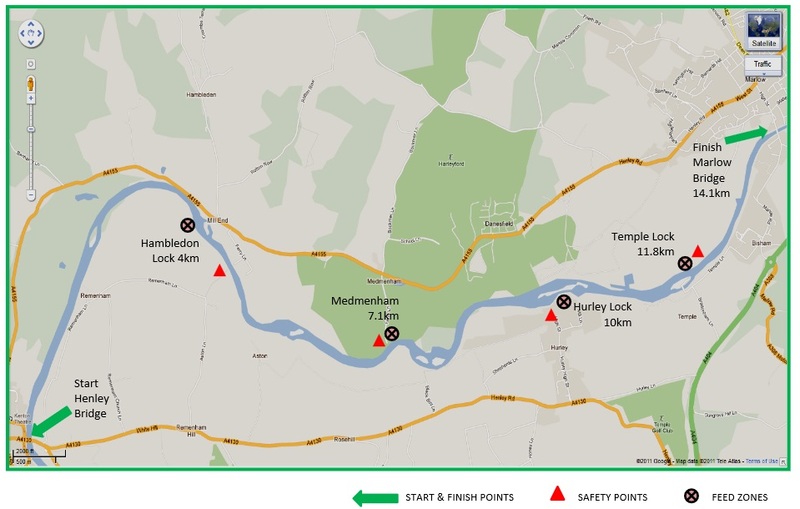 The swim from Hurley Lock to Temple lock was much better, and I felt a lot stronger, swimming at the front of the pod for a change, instead of struggling to keep up. 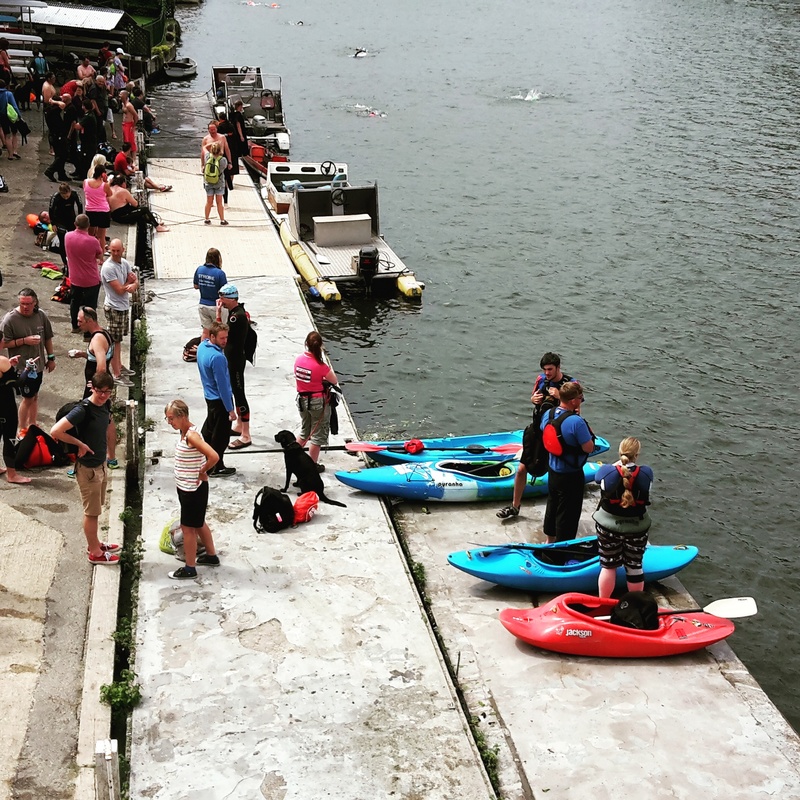 I was in my comfort zone as we swam alongside moored boats, catching glimpses of family members and friends of swimmers walking along the river in support when I turned to breath. I was actually sad to have to come out at Temple Lock as I had finally found my rhythm, but a drink and a handful of crisps was very welcome. 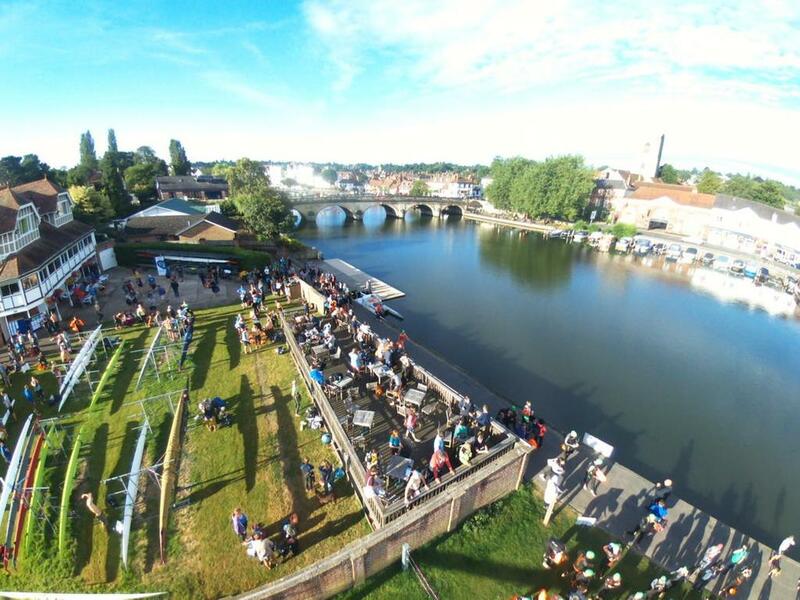 With renewed enthusiasm, the pod set off towards Marlow on our final stretch. We kept a steady pace as a pod, but then more and more people drifted behind, so I just decided to continue on my own for the final kilometre at a comfortable pace with a couple of guys from the pod. Soon, on the horizon, we could see a crowd along the river bank which could only mean that the second bridge was just around the bend. Finally, I spotted the bridge, and smiled underwater, not even caring that I was exposing my teeth to swan poop, motor oil from boats, and whatever else the Thames had to throw at me. I was nearly finished! I probably sped up a bit near and for the first time could hear cheering from the crowds on the bridge. I swam underneath it, climbed up the ladder on the bank, and crossed the timing mat. 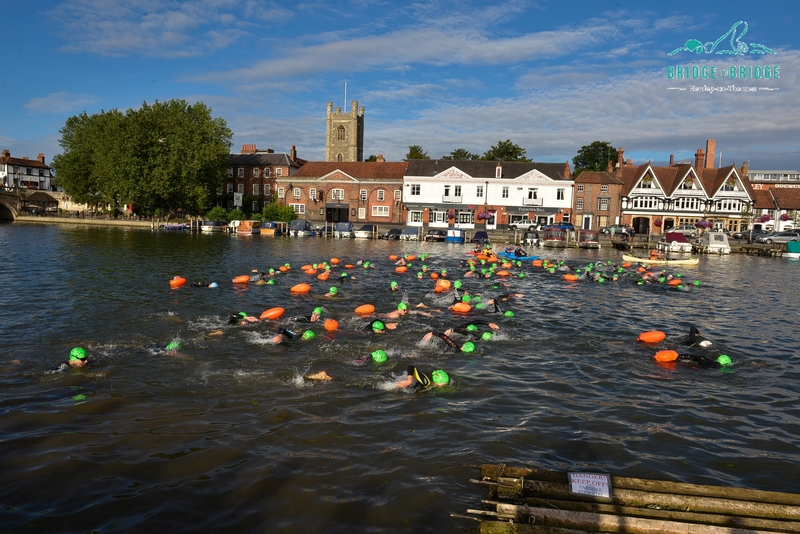 My first open water swim, my first swim in my wetsuit, and I couldn’t have chosen a better event for it! As soon as I handed back the timing chip, I headed for the hot drink section and grabbed a small hot chocolate (but ended up spilling about half of it over myself). I chatted with some of my fellow pod members, and then picked up my bag and headed for the showers. I’m glad I didn’t hang around, as the showers became pretty packed once I had finished. 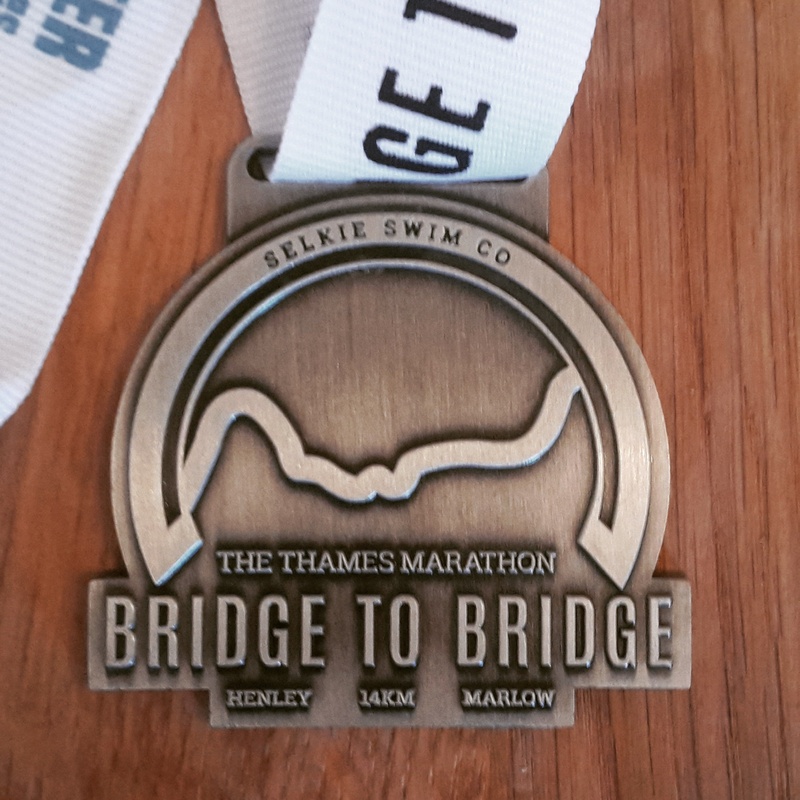 Clean and in dry clothes, I gathered my stuff and headed across the bridge to collect my medal, grab an ice-cream, and spend 20 minutes spectating in the sunshine. Once I’d had enough, I ambled towards the shuttle bus to Henley and grabbed a seat next to one of the guys I had been swimming with. We chatted about running, swimming, and cycling for the journey, and he gave me a lift to the centre of Henley so I could grab a celebratory pint, but I didn’t catch his name. 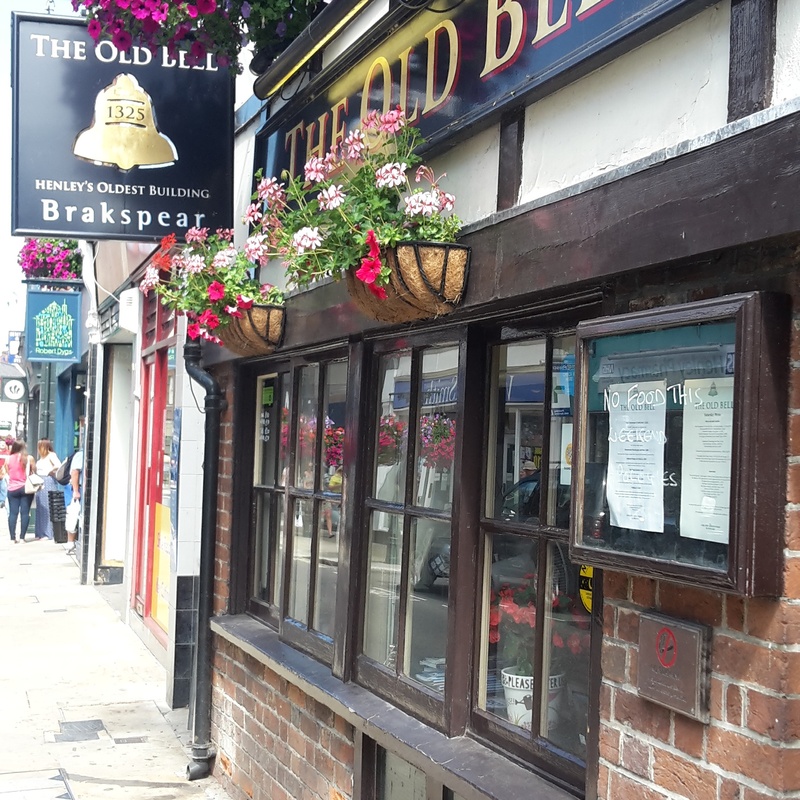 I stumbled upon Henley’s oldest building, handily also a pub, and settled in for a cold one. I used the free wifi to ensure everyone I had not drowned, and felt pretty content after one drink, so I headed back out into the sunshine for a leisurely walk back to the B&B, via a couple of local shops. 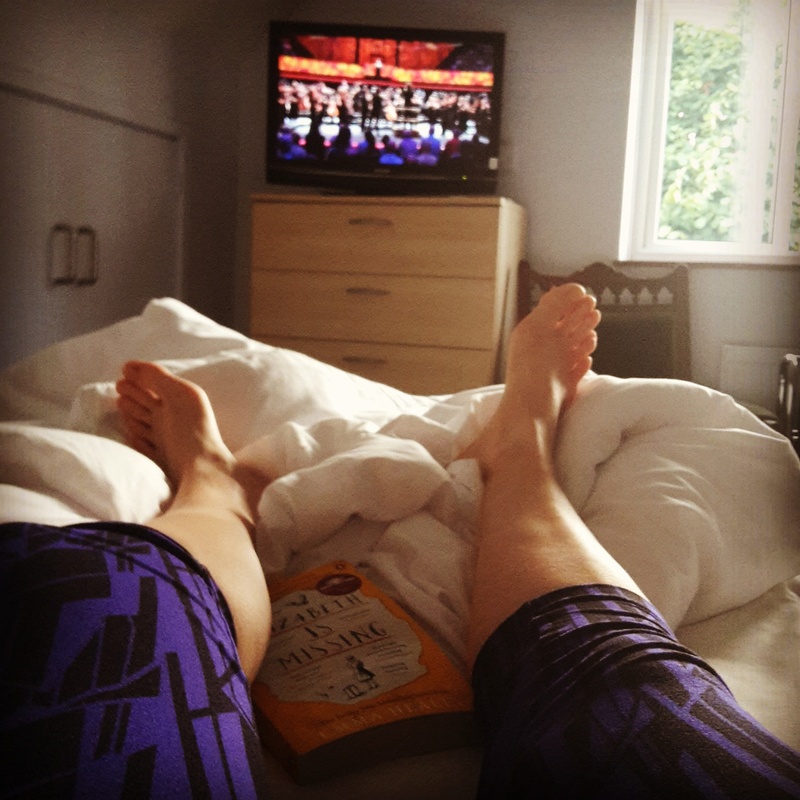 Apart from the very vivid realization that my shoulder muscles had done a hard shift every time I lifted the remote, I felt surprisingly alright after my first swim ‘marathon’. It was a fantastic event, and now that the memory of the 7-10k section is fading, I’m even considering entering it again next year. I think it has also been adequate training for my 5k open water swim at the end of the month.